Sriz Beauty Blog: Nelf USA Trendy Diva Lipstick in Tangy Orange Review!!! 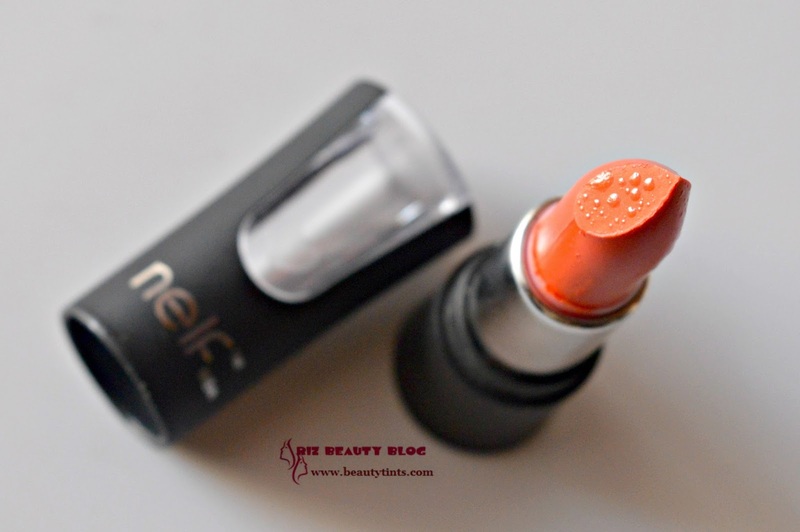 Nelf USA Trendy Diva Lipstick in Tangy Orange Review!!! 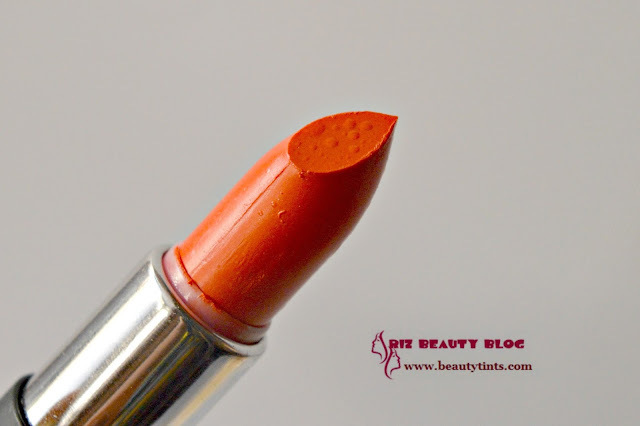 As Spring is here,I would like to review Trendy Diva Lipstick in Tangy Orange (TD 07),which is a bright orange colored lipstick from Nelf Usa , which goes wonderfully with the season. 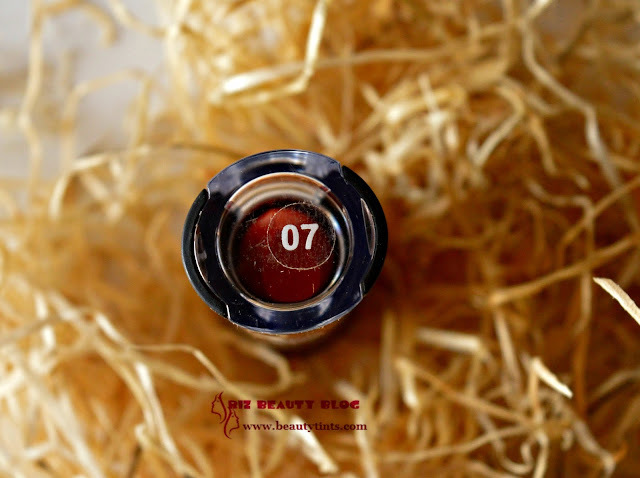 Packaging : It comes in a black packaging with a see through glass attachment to the cap with shade name written on the base. Product Description : Time for a Color Shock Therapy ! 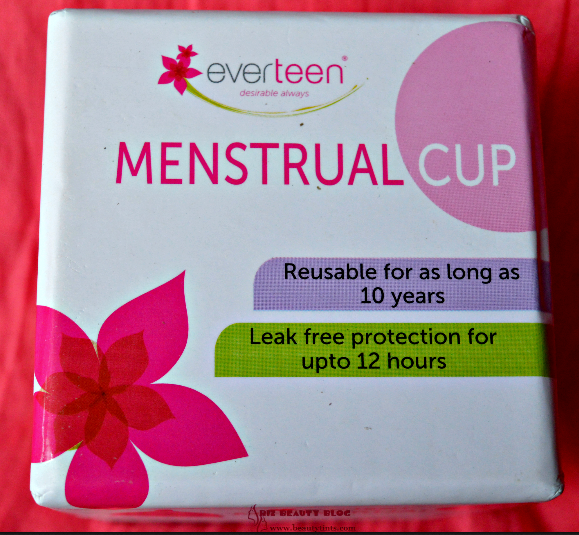 Girls, this is it! 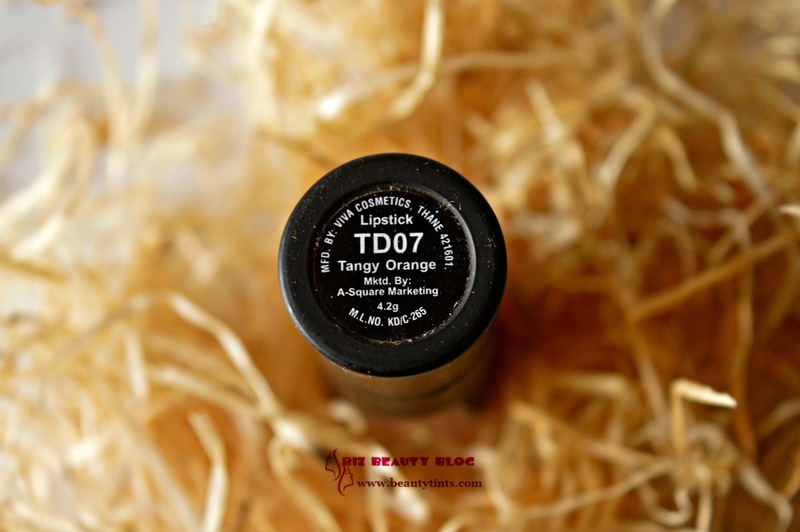 It’s time to inject a color that lasts into your city life! 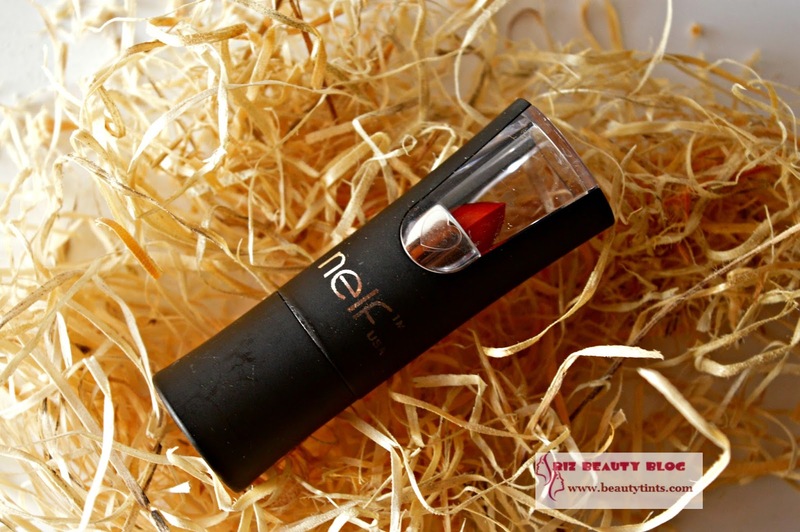 Just like a cab speeding up, with Nelf’s Trendy Diva lipstick, your look goes from 0 to 60 in seconds. 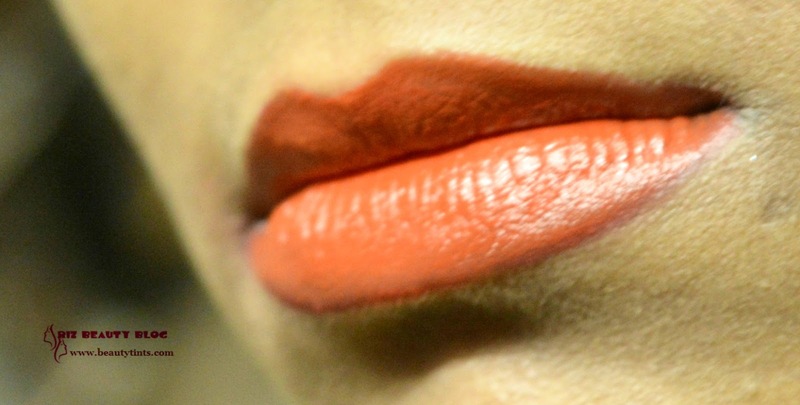 Your lips instantly show your style to the outside world and they’ll stay this way for up to 8 beautiful hours. With Trendy diva, we are the most pocket friendly amongst rivals and intend to sell it low prices especially for the beautiful teen in you. With added vitamin E it nourishes your lips. And above all, we are Lead Free. 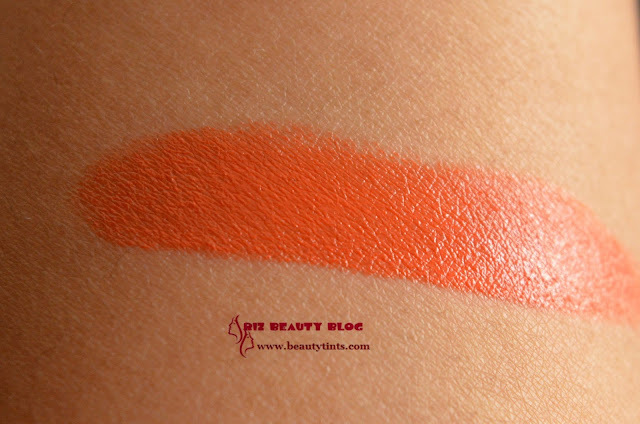 Availability : Available from few online stores.You can buy it here . 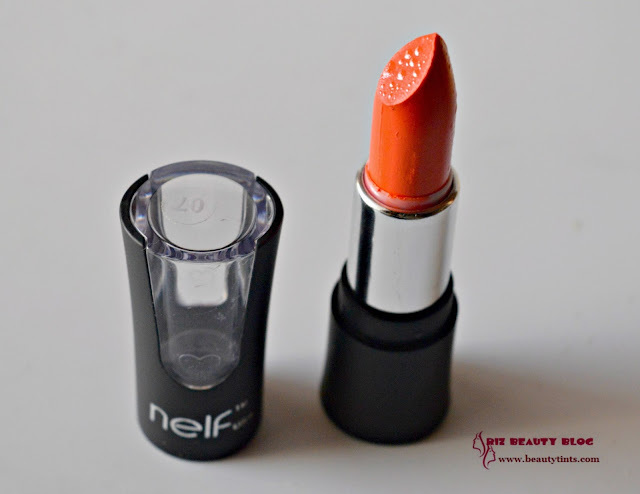 My View On the Product : This Nelf USA Trendy Diva Lipstick in Tangy Orange is a bright orange colored lipstick with slight pink undertones,which suits most Indian tones especially wheatish ones like mine.It is decently pigmented lipstick which gives fully opaque color on just 2-3 swipes.It has a creamy texture which spreads easily on the lips with out tucking.It settles between glossy and matte finish and is quite comfortable to wear anytime.The wear time is between 3-4 hrs which is pretty impressive for a lipstick in this price range.It doesn't settle into fine lines after few hours,instead it leaves a subtle tint,which looks super natural on lips.After a couple of hours it may crease,so better to line it up with a lip liner.it is very moisturizing because of Vitamin E in it and doesn't accentuate the dry lips and so any one can wear this with out any issues.It is completely free from lead,which is a big plus.It is super affordable and one can stock up on their favorite shades as these are available in different shades. 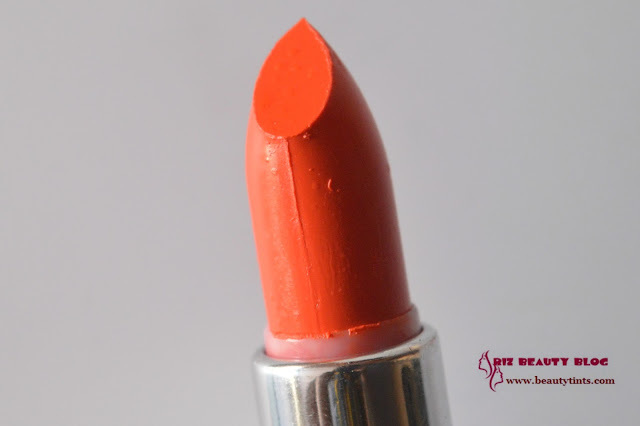 Final Conclusion about Nelf USA Trendy Diva Lipstick in Tangy Orange : Overall, a good wearable orange lipstick which goes well with most Indian skin tones ,which is lead free yet affordable with impressive pigmentation!! !